Great when needing just something little to give at Christmas time. Kids usually enjoy this. 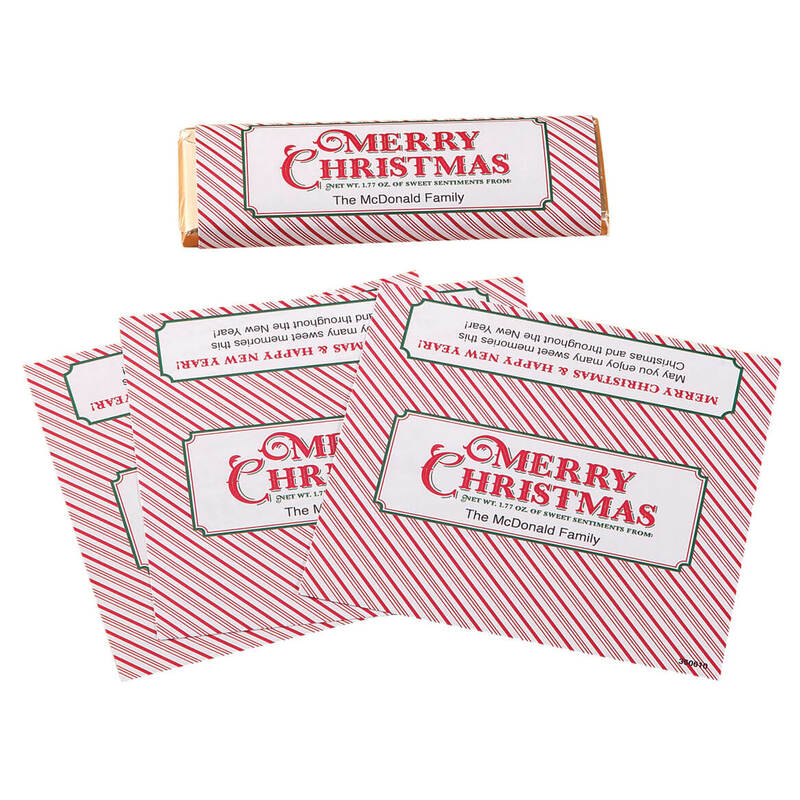 ORDERED EVERY CHRISTMAS TO LABEL MY CHOCOLATE BARS TO DISTRIBUTE TO MY FRIENDS. Given to church members during the holidays. They think they're cute. I've always wanted to give these away to family and friends. This year I finally will! They make it easy to give small personalized gifts. What A Better Way To Communicate Christmas Sentiments! This looks like it will be a great x-mas tool. I bought candy bar wrappers last Easter from Miles Kimble, and everyone I gave them to at my church love them, so I thought I would do them at Christmas. Very easy to do and very easy to hand out. For family Christmas as favors to take home. do you have birthday candy wrappers? BEST ANSWER: Thank you for your question. Yes we do they can be viewed here https://www.mileskimball.com/buy-personalized-candy-bar-wrapper-birthday-confetti-361838?query=happy%20birthday%20candy%20bar&referrer=%2Fsearch-page. We hope this information will be of help to you. what candy bar does it fit? BEST ANSWER: Thank you for your question. It fits most regular sized candy bars. The item wraps around the candy bar and you will need to tape it shut. We hope this information will be of help to you. ARE THEY SELF -ADHESIVE OR DO YOU HAVE TO GLUE THEM? BEST ANSWER: Thank you for your question. They are not self adhesive, you would have to tape the label to the candy. We hope this information will be of help to you.